I'm thinking both of these will be suitable for the 70-200mm but not sure about the Bigma? Anyone have any recommendations for longer lens rain covers? 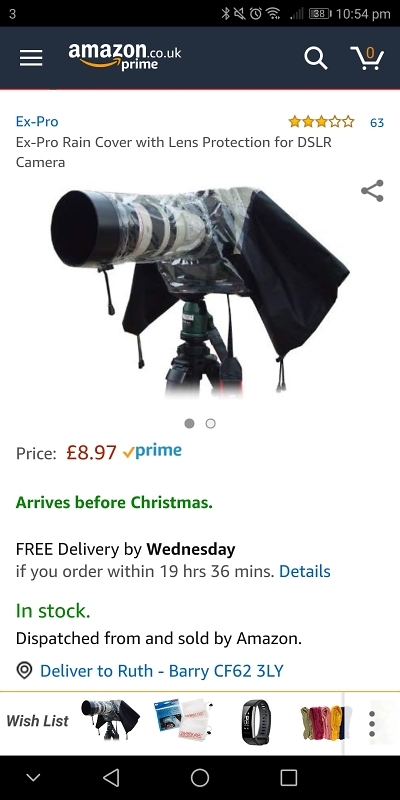 Any sort of plastic bag big enough to cover the lens, just slip it under the lens hood to attach it. 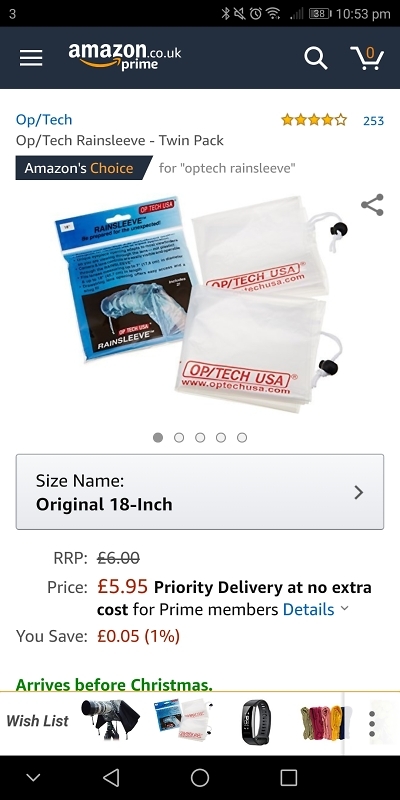 I have the OpTech covers somewhere, but apart from on a whale watching trip in the rain I haven't used them, that was with the Bigma. Didn't bother with them in Norway in the cold and snow or on more recent sailing trips, and everything survived just fine. A plastic bag and an elastic band will do the job nearly as well. There are videos online suggesting how to use a bag for the job. I have the Op-tech ones, which i only use when the weather's very bad. They work fine, and I just put them in the bag when it looks like it's going to be rough. Have a good Xmas Gareth.